• “Who says you can’t have it all!" • "His crimp and uniformity continue throughout all his extremities." • "It IS possible to have a male that has BOTH fineness and density." AFD: 18.3 µ, SD: 3.5 µ, CV: 19.2%, CF: 99.6% Curve: 59.6! Xclipse maintains continuing superior fiber stats as a breeding male. What can one say about Junebug?! We purchased Junebug in October 2011 to add to our list of fabulous foundation females. The three females crias that she produced before coming to Cabin View Alpacas are a testimony to the quality offspring she puts on the ground. 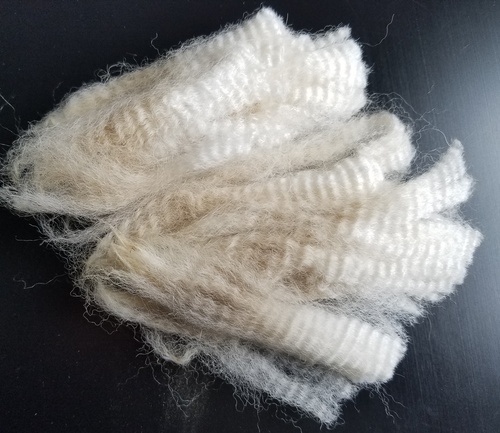 Their fleece is fine and dense with bundles and bundles of crimp. CVAF Addison has superior genetics coming from both sides. 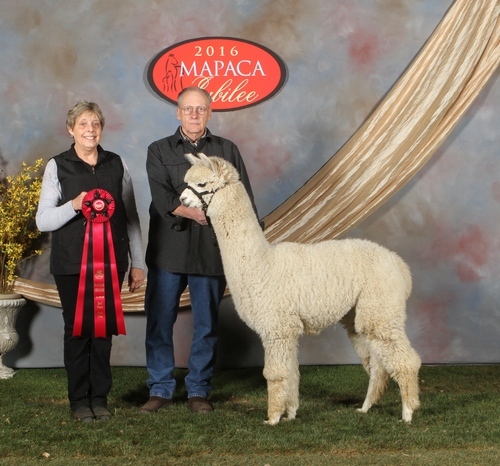 Her dam is our SSF Peruvian Jericho’s Junebug, out of the infamous MFI Peruvian Jericho. 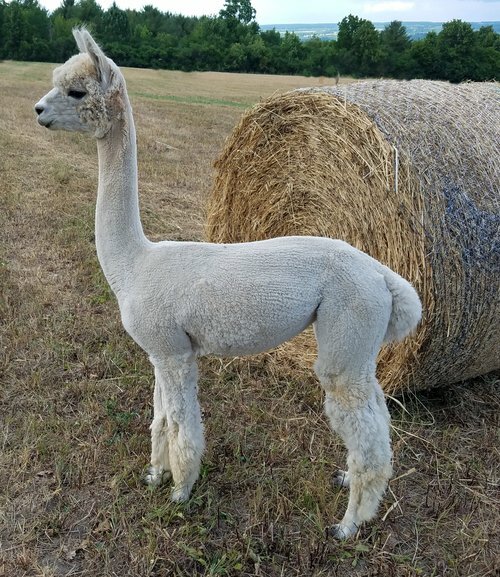 Junebug has produced some phenomenal cria, and Addision is no exception. Her sire is XXXtreme Xclipse, a four-time Judges’ Choice winner and 6-time Color Champion, including the 2013 Futurity. Xclipse has sired some outstanding offspring from white and light to fawn. 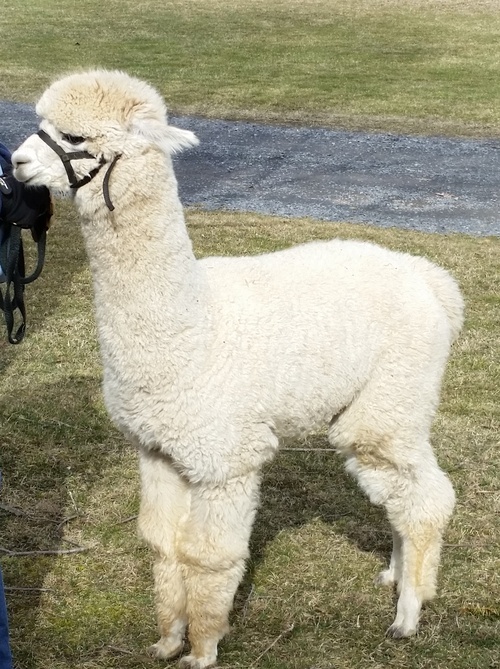 Each cria carries great style and phenotype, along with highly aligned fleeces and good character. All include amazing density, brightness and uniformity. Addison’s fleece exhibits all the characteristics mentioned above, in addition to notable conformity and presence. Addison is bred to Beethoven's Dorian a handsome Light Brown. Dorian has won 3 Judges Choice awards, 11 Color Championships along with Futurity Reserve Championships.